I’m looking for a bit of advice. I have a Ben Sayers (Pro Rider) golf trolley. The battery is supposed to be 36 holes, however after 1 year I am only getting 18 holes out of the battery. When I put the battery on to charge it goes red straight away and then shortly after it changes from red to green back to red then green until it eventually changes to all green. Do you suspect there is something wrong with the battery or charger? I’d really appreciate any help or advice you could offer me. I would always start with the more simple things. This seems more like there may be a loose connection fault, possibly in the battery cable. Battery cables are notorious for failing due to the nature of their function. They tend to get tugged or bumped or damaged in transit. The most likely part of the battery cable to get damaged is inside the round connector head where the 3 pin holes are for connecting to the charger or the golf trolley itself. 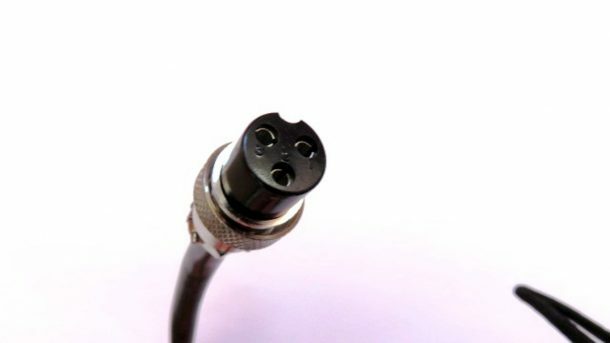 These are round sprung metal connectors which are located inside the cable connector, these can also become loose over time. A replacement golf trolley battery cable is the best option. With your charger going from Red to Green then back to Red all in the one charge cycle, I would consider looking at all connections from the battery cable to the charger plug and lead. Very rare occasions it has been known for the battery to play strange games, but this is very unusual. So start with the battery cable lead, then the charger cable leads and plug, then if you can test another battery. Sorry I can not be more specific without testing the fault. Purchase of a replacement new golf trolley battery cable in store online.